dance with all life which has been born from the universe. Long ago, at the time of the big bang, it seems that all forms of life composed on single and unique entity. If this is the case, hundred of millions of years have now passed, during which our respective lives have branched into different directions. In the same way that a tree spreads into branches, the galaxy and stars have detached themselves from the trunk of the universe. The planets and Earth split off from the solar system. Furthermore, the earth, the sky and the sea have also branched and after this, plants and animals have subdivided. People, just like me, are also part of this ramification. And even variety of goods, variety of relics that human have made in the history, still more creative products from a machine civilization now are also part of this ramification. Nature and animals, people, artifacts and gods, such as all of life equally lies ahead of this branches. If those hundreds of millions of years have really built our body, then surely, somewhere inside of us, we should have kept a memory of when we were universe and stars, of when we were earth, of when we were stone and river, and mountain and wind and fire. And also we should have kept a memory of when we were flowers, trees, animals. Furthermore we should have kept a memory of living in relics, of living with gods mythology, of believing wings as extension of body to fly to the sky. Open the door of these memories and let's try and dance, transformed into those sun and moon, into those four elements, into those various life and various gods. Let’s dance with memory of various relics, various machines. Those all born from the universe was life equally. And they were called “JINEN” in ancient Japan. Let’s dance together with all this JINEN. 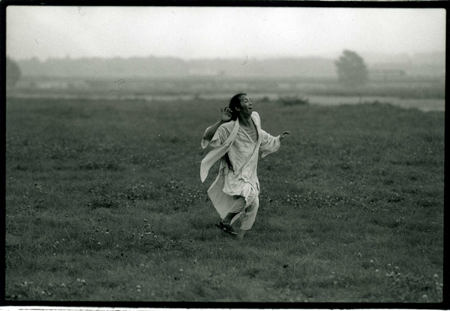 Through dance, let's remember that our body was at one with Earth and the universe. Furthermore, if the leaf that I am, coming from this branched universe, could feel, even just a little, the weight of those billions of years, then I will realize that, far from being just some simple little organisms, I myself, just like others, form the tree trunk constituting the beginning of the universe. You are the seed of the machine, you are the relics, you are the myth of gods. You are also the animal, imaginational creature. You are the sprouting trees, shining glower. Through dance, the borders separating us from all those will progressively fade away. 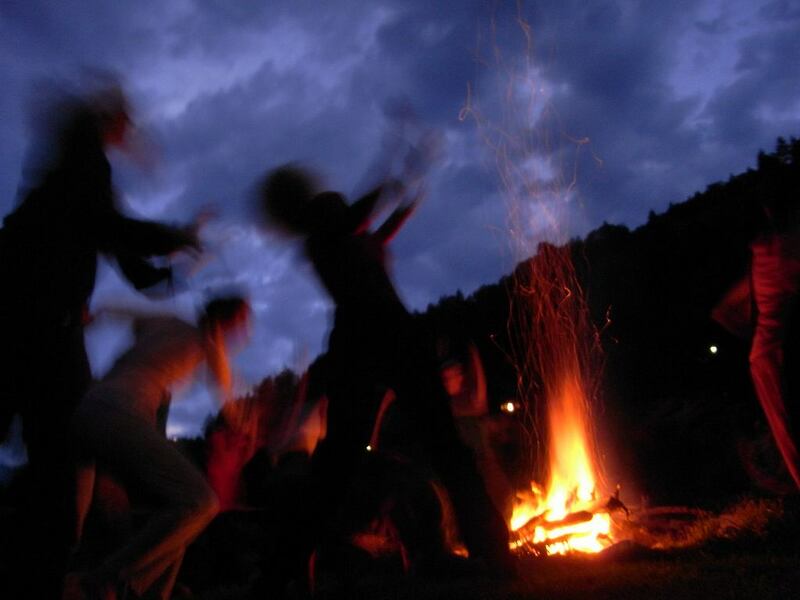 Life, under multiple shapes, is then linked to everything, and represents a dancing presence. In the time of 6months let’s dance with all those JINEN as far as possible. * Time : 9:00 or 10:00 - 19:00or 20:00 (including lunch break), 7-8hours/day, 10days course per month. -At arrival day & Spazio Nu practice day has different time schedule. - There will be also night session day. Depend on schedule, time will be flexible. 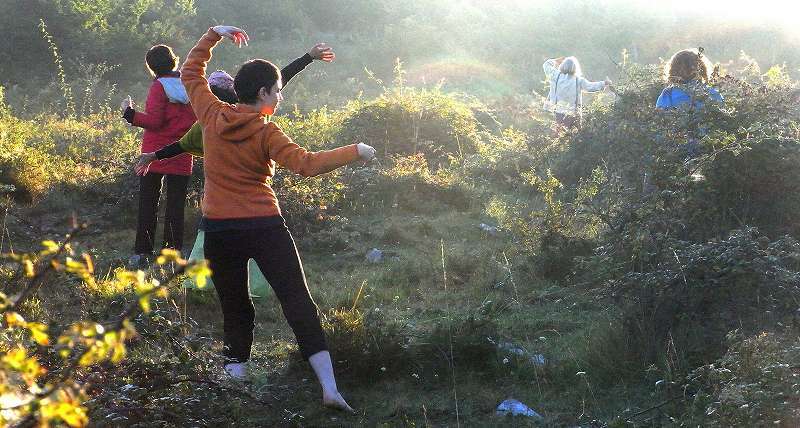 - Every month 1 weekend, class will be hold at Spazio NU in Pontedera. * Arrival appointment : meeting appointment at 14pm at Spazio NU (Pontedera) on arrival day. - If necessary, you can arrive one day before at Spazio NU. Please contact to us in advance. 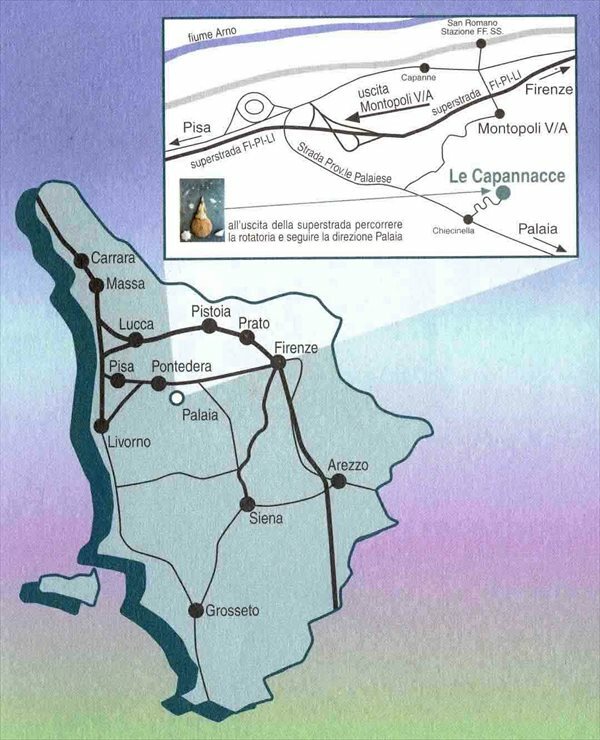 * Departure time : From Capannacce, we transfer to Pontedera station at 12-13pm. *Practice 10days & 1day off , plus departure day. In total you need 12days. 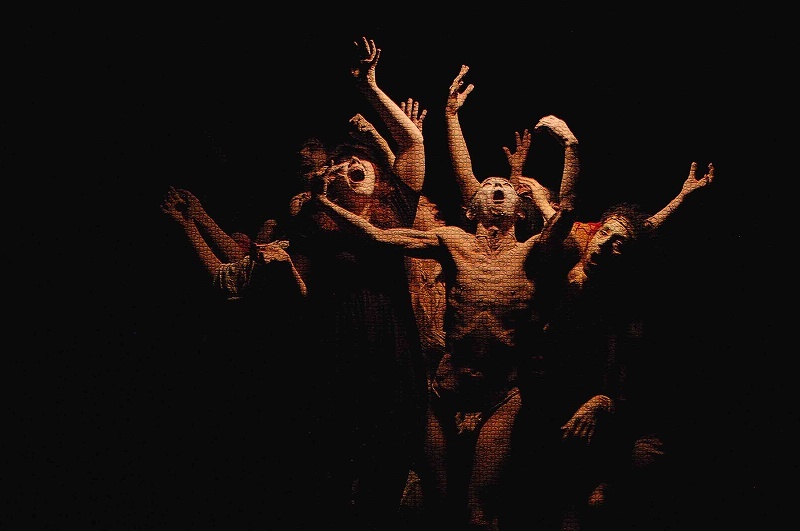 * Every month 1 weekend, class will be hold together with monthly weekend Butoh course participants. * Every month on final day, each presentation in studio, open air, site specific, etc. of all participants. 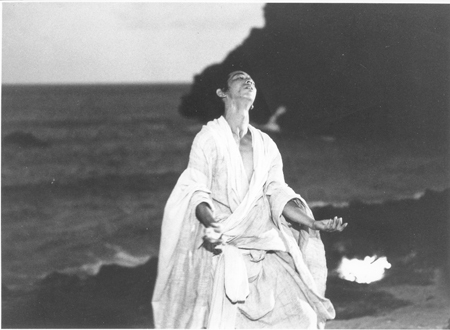 And solo Butoh Atsushi Takenouchi and guest dancers. 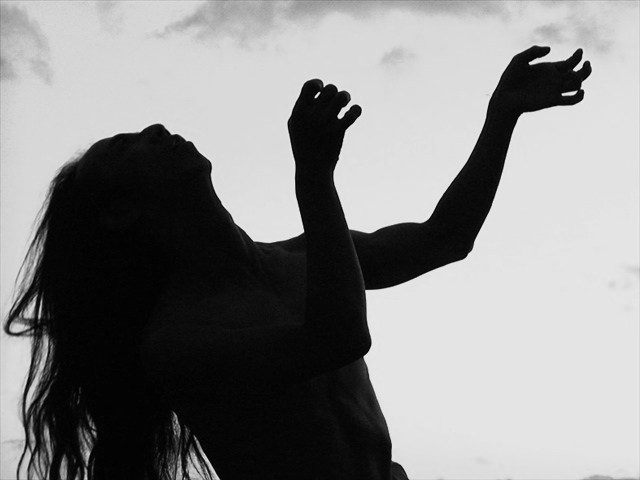 Requirement : This Butoh course is for dancers, actors, performers, person who makes training physical expression. 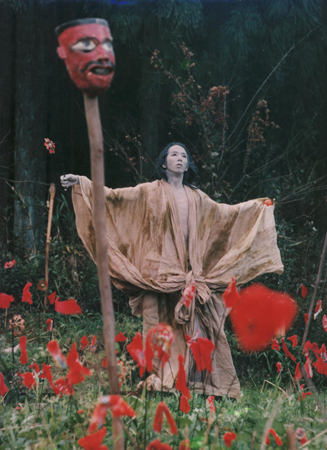 Desirable to have joined JINEN Butoh workshop already. 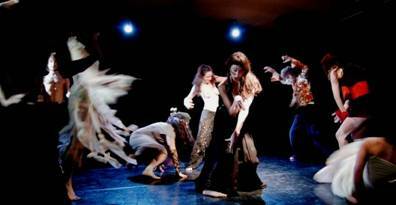 Or Butoh workshop experience, or physical training experience. Registration : First, please send email to butoh.spazionu@gmail.com for receiving registration form. We send form and practical info. 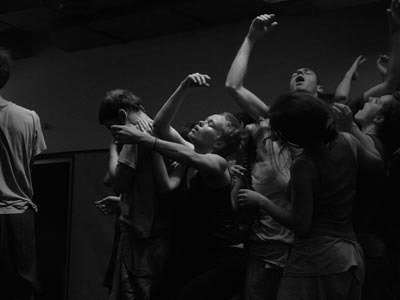 Please fill in registration form, send back with writing motivation for this course and CV by email to Spazio NU (butoh.spazionu@gmail.com). Register is only confirmed when we recognize your advance payment. *The priority is whole 6 month course register. But please contact also for 2 or 1 month register. Residency : At accommodation of LE CAPANNACCE. 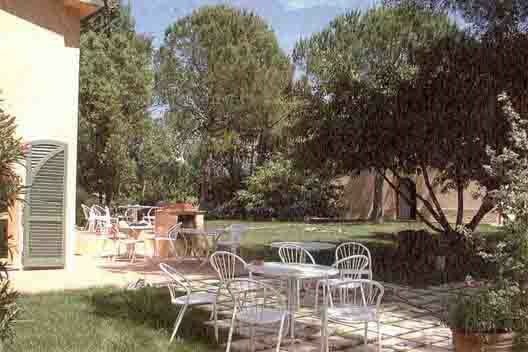 There is communal kitchen, dining, living room, terrace and garden with olive trees. 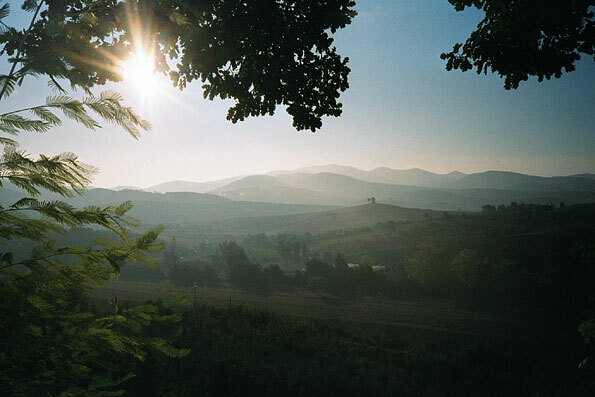 It is located on the hill in beautiful country landscape with olive forest. Basically 3 beds rooms. 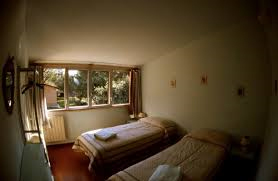 Access : Nearest airport; Pisa Airport 35 km, Florence airport 40 km. The nearest train station Montopoli is 10km away. And also from Pontedera station, 20 minutes by car. There is free parking. Also we arrange car pick up to station or town when needs. On the first arrival day, we all get together at Spazio NU for meeting. Then we depart together to seminar house. 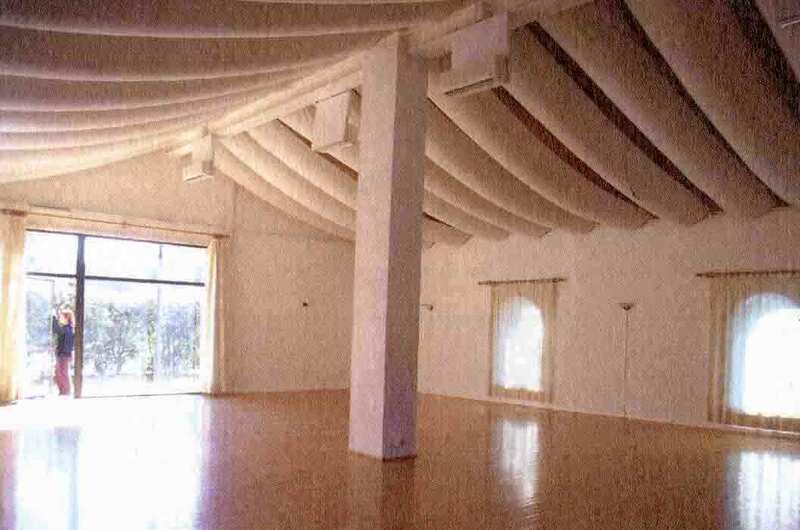 The seminar center Podere Le Capannacce, situated on a hill, surrounded by olive groves, vineyards and forests. The year-round house from 1771 is completely renovated and equipped with a heating system. The 150 square meters wooden floor studio is full of light and next to the garden. 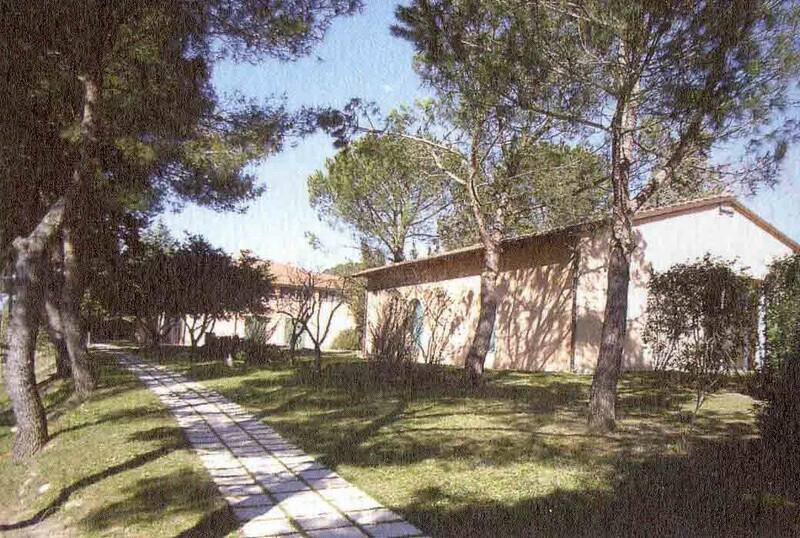 The residency building is also face to this garden with olive forests view. Palaia town and the village (the seminar house is located in Palaia) is a medieval village with Tuscan charm, tranquility and serenity. *Board; Meals are not included in course price. We plan partly by professional cook, the rest part by collective cooking together. Essentially vegetarian cooking with using local fresh products of Toscana. Tutti gli esseri viventi nati dall’Universo danzano con il Jinen . Dicono che prima del Big Bang c’era un unico Essere. Dopo miliardi di anni, l’Essere si è ramificato per arrivare a noi che siamo degli esseri separati. Come fosse un albero. Dal tronco dell’Universo si sono rmificate le galassie e le stelle. Dal sistema solare si sono ramificate le pianete tra cui la nostra pianeta terra. Dalla pianeta terra si sono ramificati la terra, il cielo e il mare che, alla loro volta, hanno visto ramificarsi le vita, vegetali e animali. Noi essere umani siam solo una parte di questa ramificazione. La ramificazione si estende generando i resti storici costruiti in diverse epoche fino ad arrivare alle creazioni della civiltà industriale di oggi. Tutto ciò che esiste ora, la natura, gli animali, i prodotti artificiali e perfino i dei sono i risultati di questa ramificazione cosmica. Il corpo umano, perciò, è stato formato attraverso questo processo iniziato milliardi di anni fa. Allora, da qualche parte del nostro corpo, potremo trovare la memoria di quando eravamo l’Universo, la stella o la pianeta terra, la pietra o il fiume, la montagna, il vento oppure il fuoco. Potremo trovare anche il ricordo di quando eravamo i fiori, gli alberi o gli animali di diverse specie. Non potremo cercare anche i ricordi di quando vivevamo nelle città antiche ora in rovina insieme ai dei ? Pure la memoria di quando eravamo muniti del meccanismo per volare chiamato le ali? Dunque, apriamo la porta di queste memorie. E danziamo trasformandoci nel sole, la luna, la terra, l’acqua, il fuoco, il vento, gli esseri mortali e immortali! Danziamo anche con le rovine delle città anriche e con le macchine! Tutto ciò che nato dall’Universo è ugualmente la vita che nel Giappone antico veniva chiamato il “Jinen”. Danzando ricordiamoci che il nostro corpo era una volta parte della pianeta terra e parte dell’Universo! Se potessi sentire anche lievemente i miliradi di anni che sono passati su di me che sono soltanto una foglia nata dalla ramificazione cosmica, non sarò più un minuscolo essere vivente ma parte dell’albero cosmico nato all’origine dell’Universo. Tu sei una stella. Tu sei la pianeta terra. Tu sei il vento, il fiume, la pietra e il fuoco. Tu sei il seme delle macchime, la rovina della città antica e i miti. Tu sei gli animali reali e immaginari. 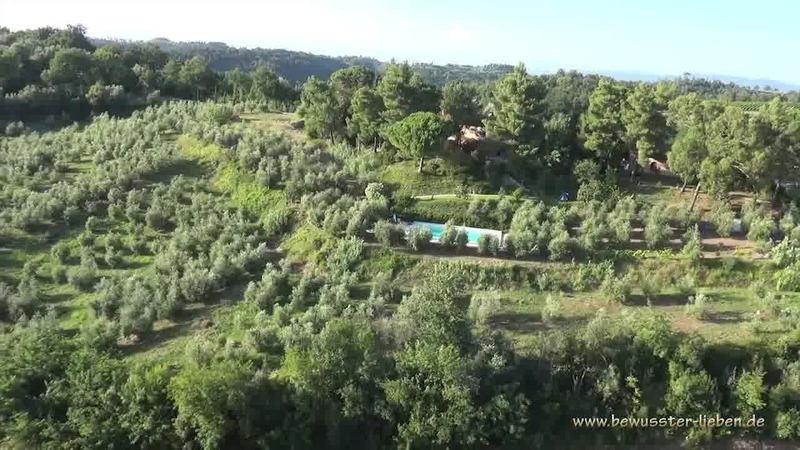 Tu sei l’albero che germoglia e il firore che splende. 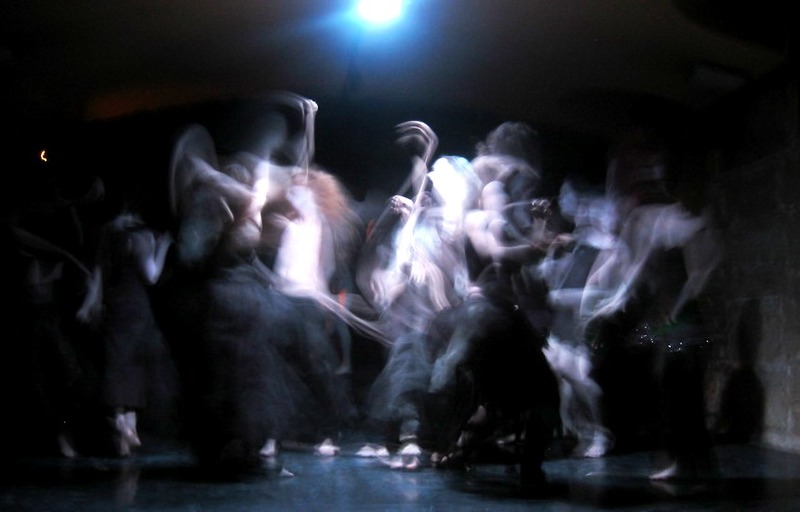 Danza, danza fino a quando il confine tra te e loro sparisce. In un anno faremo tutto il possibile per poter avvicinare a danzare con il Jigen. Copyright 2002-2007 c Globe JINEN All rights reserved.